Recent release “The Soul Hypnotist” from Page Publishing author Edwina Orelus is an exciting supernatural thriller combined with a complicated coming of age story in which a young woman encounters a series of tragedies, disappointments, and undesirable circumstances only to find that she is met with one final, seemingly insurmountable hurdle: an encounter with the devil, intent on having her soul. Edwina Orelus, a creative writer and film school graduate who is originally from Haiti, has completed her new book “The Soul Hypnotist”: a riveting story about a special girl who finds that growing up is riddled with trials, especially when it is decided that her destiny is to be given to the devil. Published by New York City-based Page Publishing, Edwina Orelus’s enthralling tale follows a girl named Laoise, who is defined as being a very special being from the moment her birth plays out as an occasion celebrated with divine visions experienced by all involved. Unfortunately, being “special” does not also render Laoise immune to heartache. Instead, her life seems to be riddled with more hardship than that of the average girl. She witnesses her father’s death at the tender age of six, the financial results of said loss forcing her to be separated from her mother and placed into adoption. While Laoise’s adoptive parents are rich, she is not allowed to experience genuine feelings of love and is forced into an arrangement marriage to yet another rich man, Matchitehew. However, Matchitehew has a very special relationship with somebody else, a being who desires his wife’s soul as a necessary piece to realize his dark kingdom on earth. 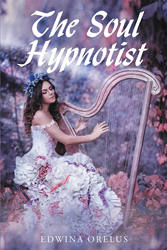 Readers who wish to experience this thrilling work can purchase “The Soul Hypnotist” at bookstores everywhere, or online at the Apple iTunes store, Amazon, Google Play or Barnes and Noble.